Like any international move, moving to Monaco from US requires a little preparation. A move to a new location can be a daunting experience. So it’s always useful to have a little information about your destination upfront. Intlmovers is a great way of finding international moving companies that can help you with your international moving to Monaco from US. Using Intlmovers is one of the most convenient methods of finding the best mover to meet your needs. You can save both time and money. Intlmovers allows you to compare quotes quickly and easily from up to six international moving companies at once! The movers have years of experience with moving to Monaco from US. 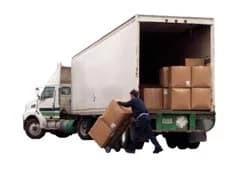 They have contacts in Monaco which can make your removal cheaper. Monaco is a French speaking country located in western Europe on the Mediterranean Sea. It is one of the three sovereign states in the world. Monaco is the actually the smallest country after Vatican City, and has an area of just over two square kilometres. Monaco’s population is nearly 40 thousand people and has thus given way for Monaco to have the highest population density internationally. Whilst Monaco is not a member of the European Union, its currency is the Euro. Monaco is probably most famous for the busy area of Monte Carlo, its financial and tax incentives and casinos. One of the biggest contributors to Monaco’s economy is tourism. The picturesque views over the Mediterranean and pleasing weather make it an attractive draw card for the wealthy, and for tourists wanting to experience or witness some of the high society lifestyle available in this incredible country. Not surprisingly, Monaco experiences a Mediterranean climate, which offers warm and dry summer weather along with rainy but mild winters. The average temperatures are around 20 degrees making for a very comfortable and pleasant lifestyle for residents and tourist alike. The international movers partnering with Intlmovers are all highly reputable professionals. They are industry specialists from the world of shipping and logistics. Their experienced skills have a proven customer service record in the industry. They have expertise in both personal and business shipping. Enjoy a stress free move, and relax knowing that your shipment is being well managed throughout your international move. Take advantage of the extensive levels of international moving company professional experience. Enjoy moving to Monaco from US! Receive up to six international moving quotes with one single request on Intlmovers. Make your decision making process so much easier! Even though you can receive up to six quote responses, remember that you are under no obligation to accept any of them. Take your time, and evaluate the responses that you have. Compare services, compare costs, and make sure that you are happy with the information that has been provided to you. Make your selection from there for your moving to Monaco from US. When you use Intlmovers to compare quotes, it’s both cost free and obligation free!